The Minnesota State Demographers Office has lead responsibility for organizing and implementing the 2020 Census in Minnesota. The office's 2020 Census website has a wealth of information about why the Census is important, the timeline for preparing for and implementing the Census and answers to the most frequently asked questions. Follow on Twitter. The office's web site also shows you how Census and ACS data is put to use to help us plan for Minnesota's future. MACS2020 (Minnesotans for the American Community Survey) is a broad-based network of individuals and groups in Minnesota joined together to education Minnesota's Congressional Delegation about the Census and the American Community Survey. If you want to know the message Minnesotans are delivering to members of Congress about the Census and ACS, the check out the MACS2020 website. Our "home page" for information about what's happening nationally with the Census and ACS is The Census Project. Read the monthly update to not only know WHAT is happening in Washington, DC, but also WHY it's important. See what action advocates are taking in support of the Census and ACS and find out what actions you can take, as well. Follow on Twitter. 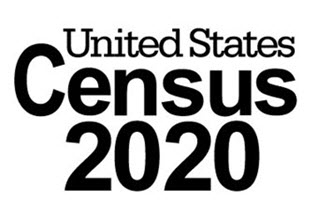 The U.S. Census Bureau is the place to go for official information about plans for the 2020 Census. However, you will also want to keep an eye on information coming out of the Bureau's Midwest Regional Office for updated information about what is happening a little closer to home. The FCCP's (Funders Committee for Civic Participation) Funders Census Initiative helps grantmakers throughout the country learn about how they can strengthen democracy by providing support for the Census and ACS. MCF is an FCCP member and represented on the FCI steering committee. 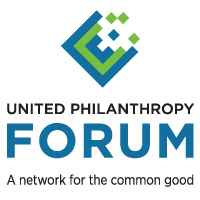 United Philanthropy Forum is mobilizing regional grantmaking organizations as well as national, philanthropy-serving organizations to join in as advocates for a fair and accurate 2020 Census. MCF is a Forum member and represented on the Forum's public policy committee. The Minnesota Census Mobilization Partnership is convened by Minnesota Council on Foundations, MACS2020 and Common Cause Minnesota. MCF's work on the Census and ACS is supported by a grant from The Joyce Foundation. Return to Minnesota Census Mobilization Project home page.